A view of Oregon's Mt. Washington from Secret Lake. 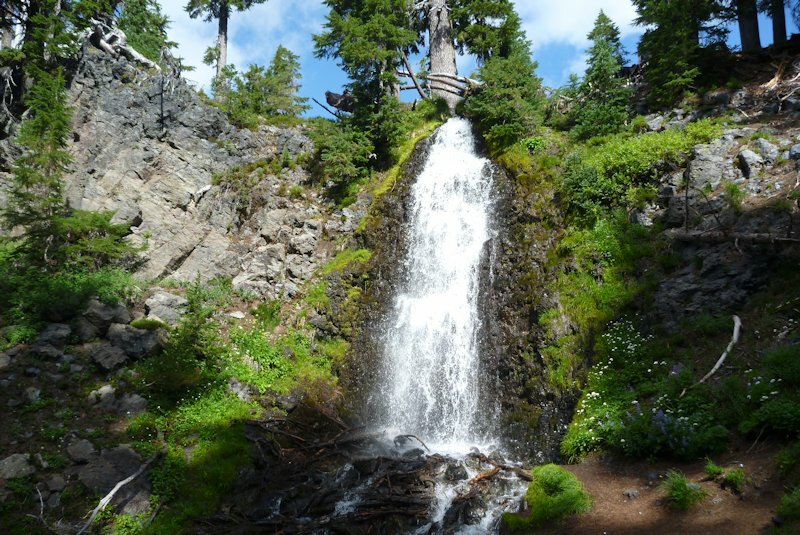 This small High Cascades lake near Minnie Scott Spring on the Pacific Crest Trail doesn't appear on any maps (2009). 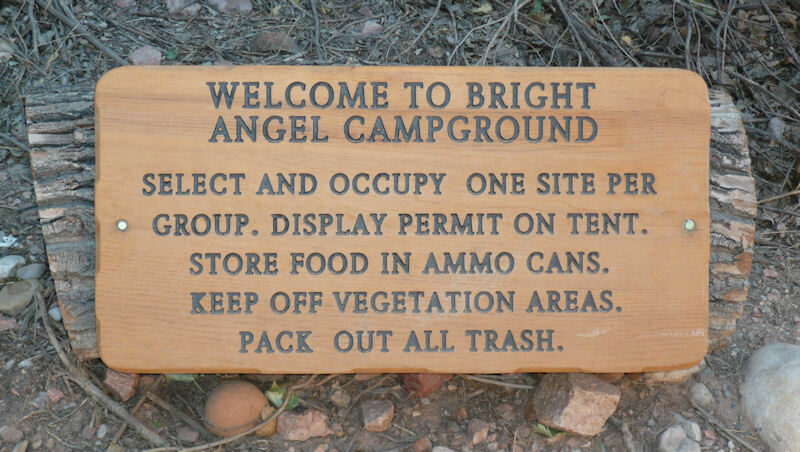 And finally, the campground and a much-needed rest (2009). Zabriskie Point at Death Valley (2010). 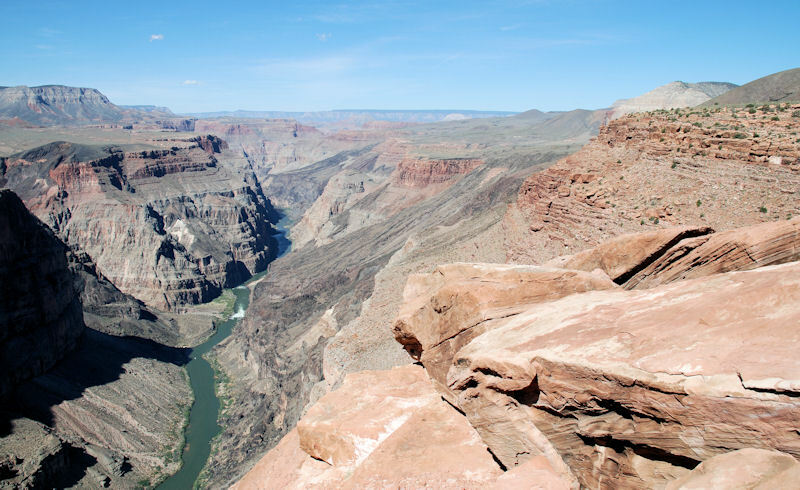 The view from Toroweap overlook on the north rim of the Grand Canyon (2010). 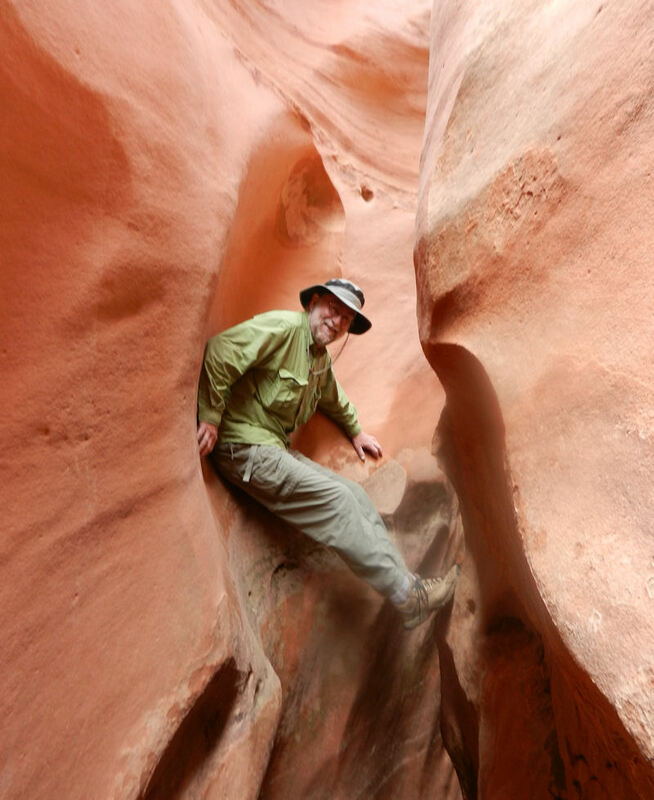 The incomparable Spooky Gulch slot canyon, a tributary to Coyote Gulch near Escalante, Utah (2010). 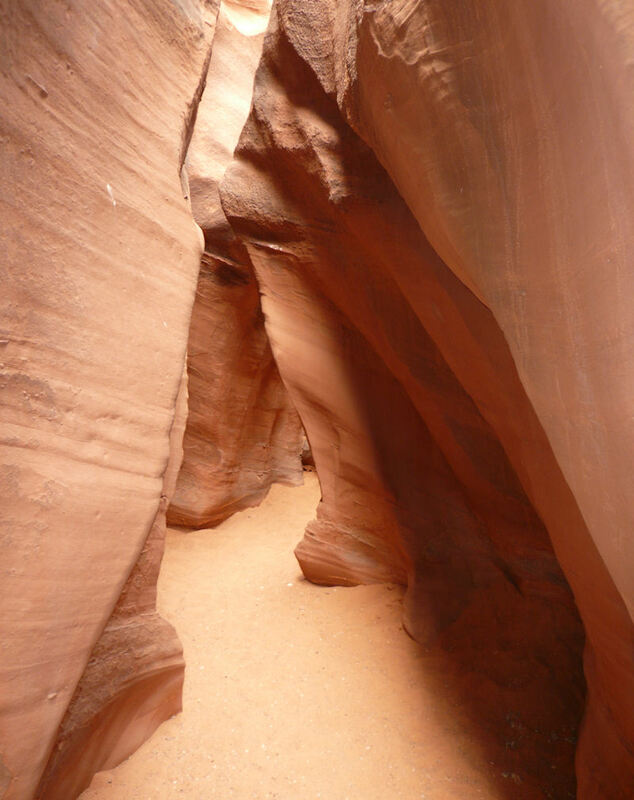 A promising slot canyon on the Paria Plateau (2010). 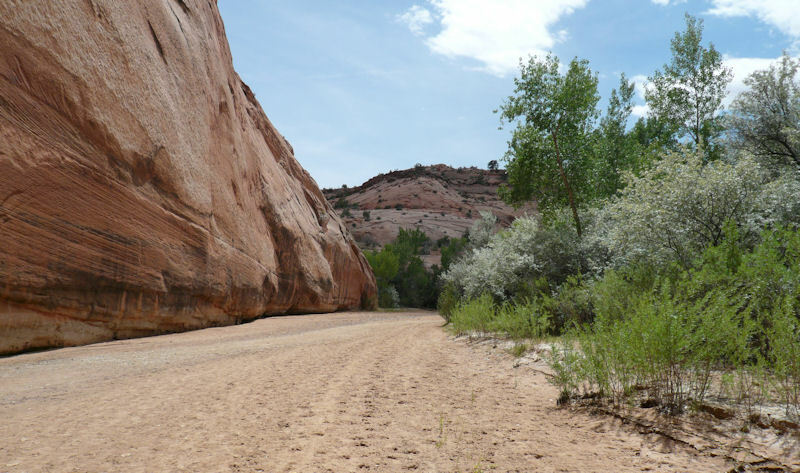 Hiking down Harris Wash near Escalante. 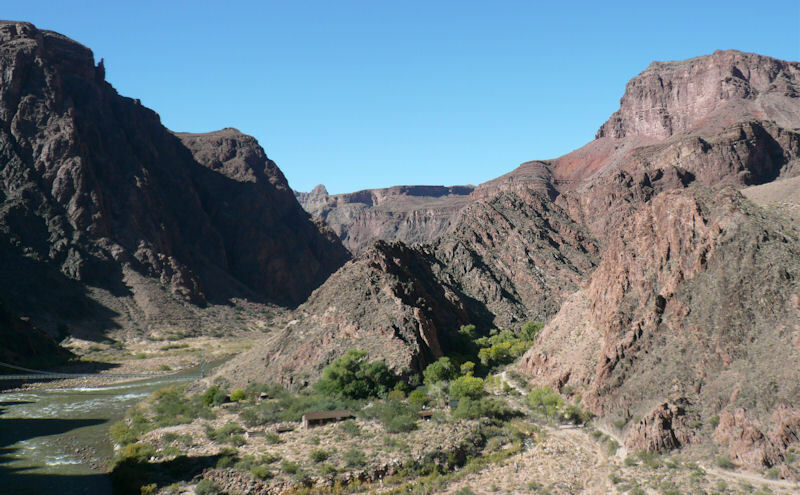 It's June 1st, 90F, and it's still morning - pretty warm here for mid-summer hiking (2010). The James Creek Shelter, Three Sisters Wilderness, Oregon. 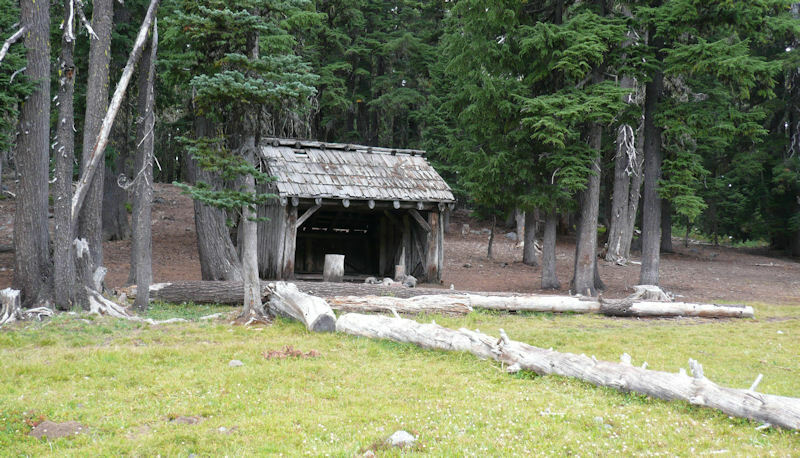 The shelter still stands on the old Skyline Trail on a segment that was later bypassed by the more recent Pacific Crest Trail (2009). 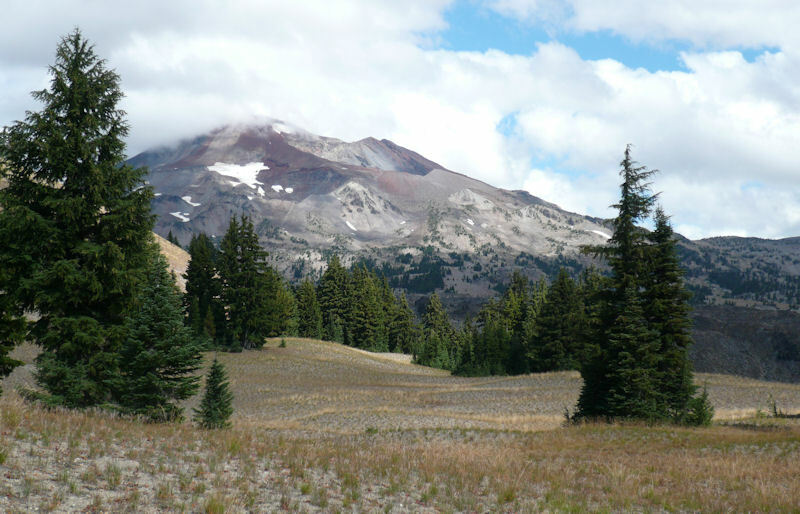 A view of the South Sister from the Wickiup Plain, Three Sisters Wilderness, Oregon. 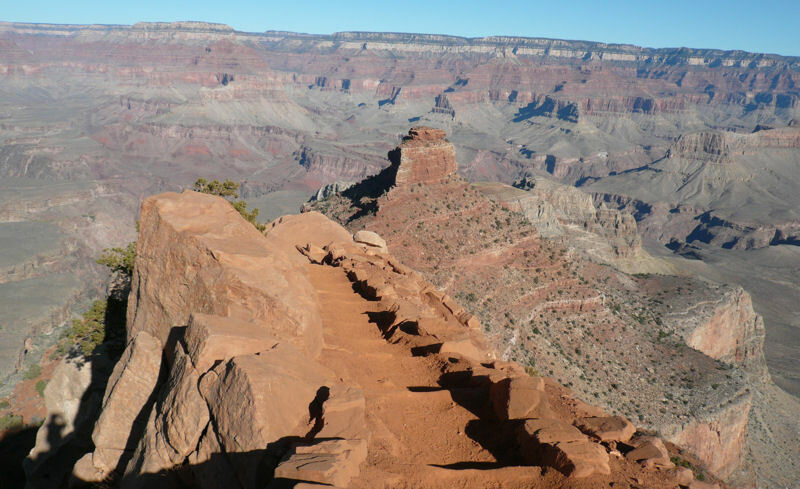 The area is mantled by 2,000 year-old pumice from nearby Rock Mesa (2009). 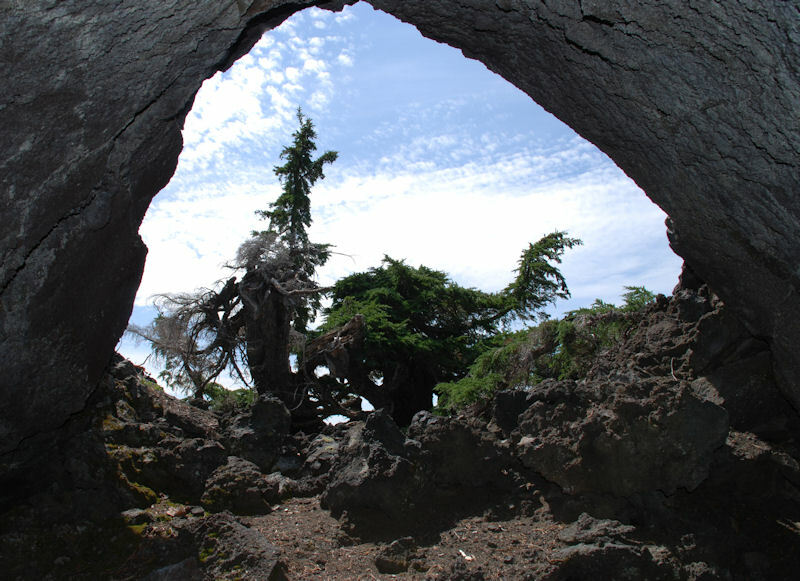 The little-known Yapoah Crater lava tube is located only a few yards from the PCT and yet is completely invisible from the trail (2009). 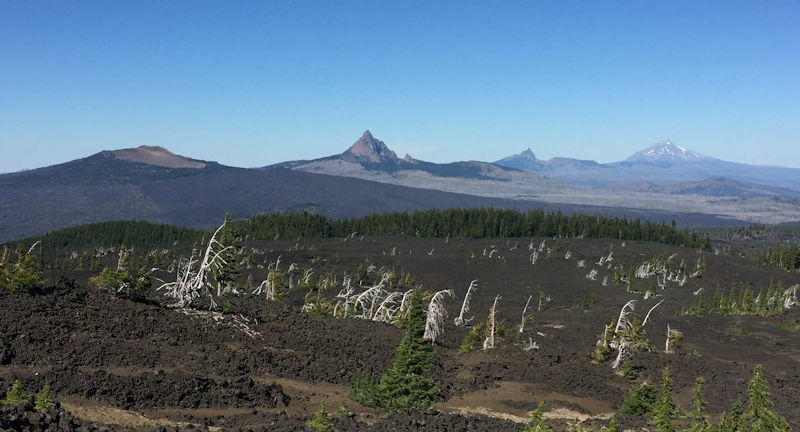 A look at the North Sister and Middle Sister from the PCT. The large cinder cone in the center of the image is Collier Cone (2009). The view to the west from the summit of Collier Cone (2009). The prominent cliff in the center of the photo is Obsidian Cliffs, one of Oregon's most significant prehistoric sources of obsidian. Looking south from high on the flanks of Mt. Jefferson, Oregon High Cascades (1983). 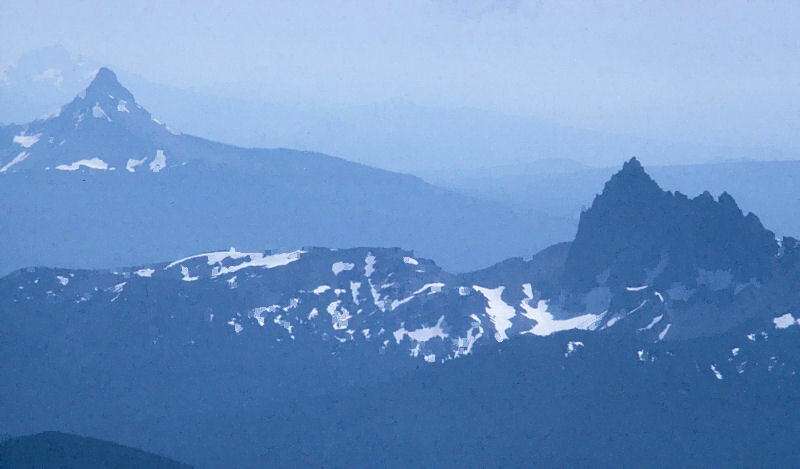 Three-Fingered Jack is the near peak, Mt. Washington is in the mid-distance, and the North Sister is barely visible in the far distance. 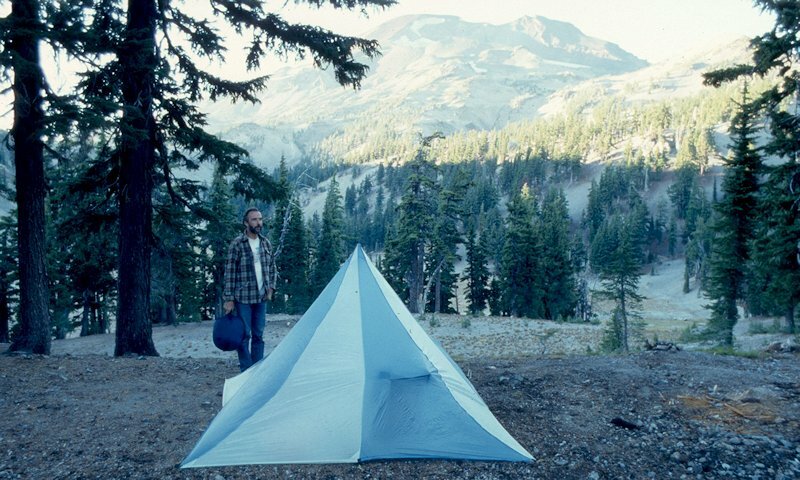 Camp near Moraine Lake, Three Sisters Wilderness, prior to a climb of the South Sister (in the background) (1987). 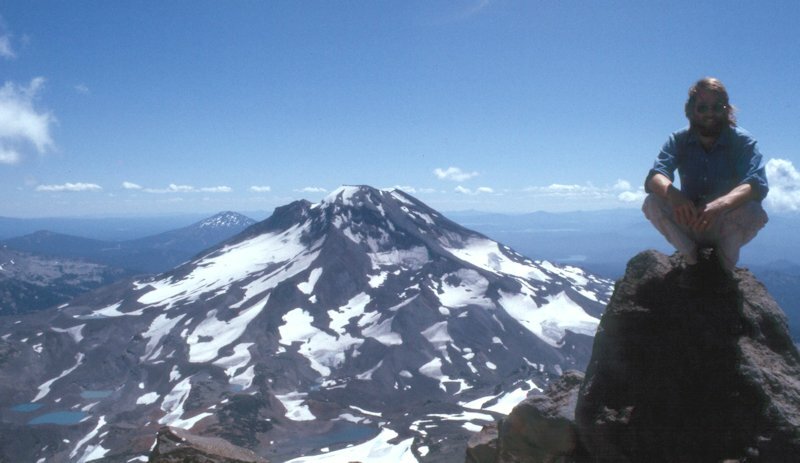 View of the South Sister from the summit of the Middle Sister, Three Sisters Wilderness, Oregon (1984). 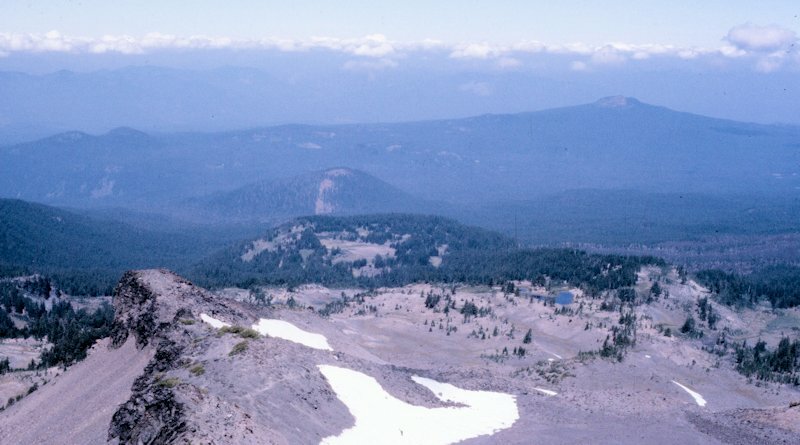 Looking west down at the Obsidian Cliffs plateau from the summit of the Middle Sister, Three Sisters Wilderness, Oregon (1984). Moku'aweoweo summit caldera of Mauna Loa from near the summit cabin (1986). 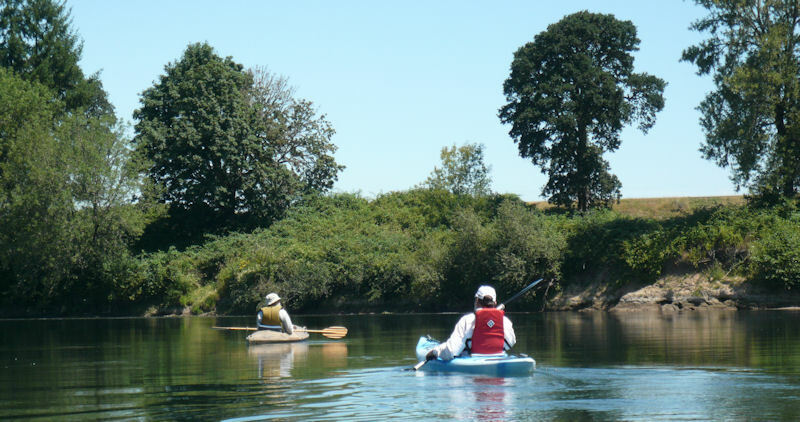 An overnight summer float day on Oregon's Willamette River. 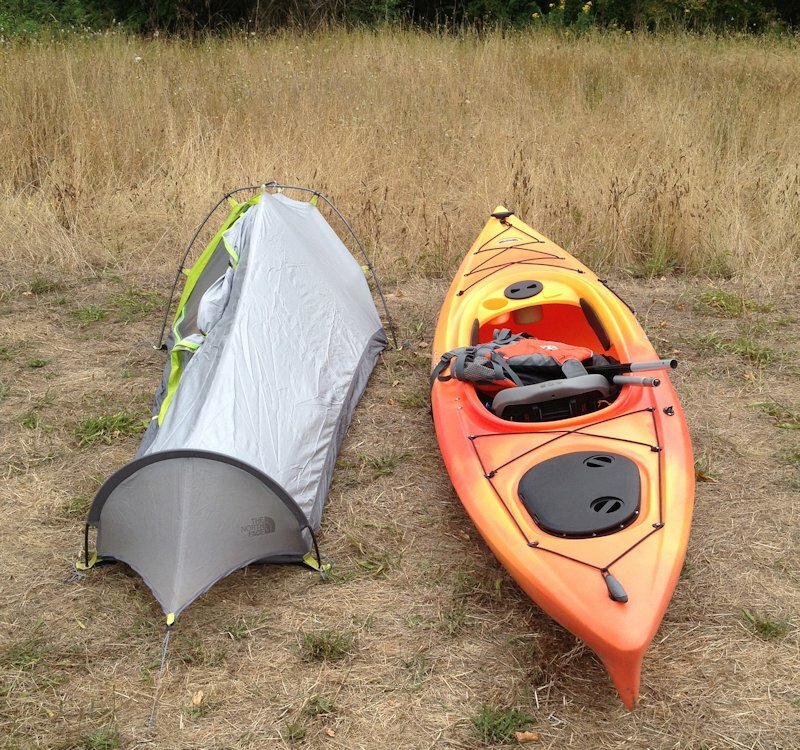 When packed in a dry bag, all that ultralight gear works well when stuffed into a small kayak (2009). A sunset view of Delicate Arch in Arches National Park (2011). An October sunset from the south rim of the Grand Canyon (2002). 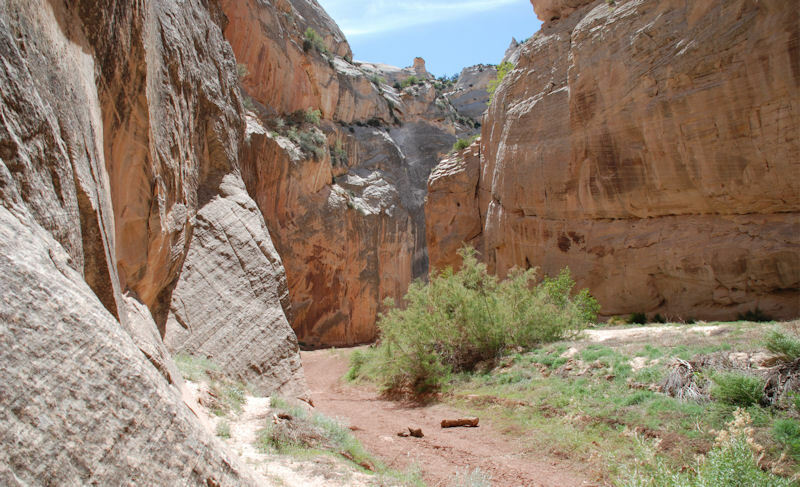 The Big Horn Gulch slot canyon near Escalante, Utah. It doesn't get much better ... (2011). 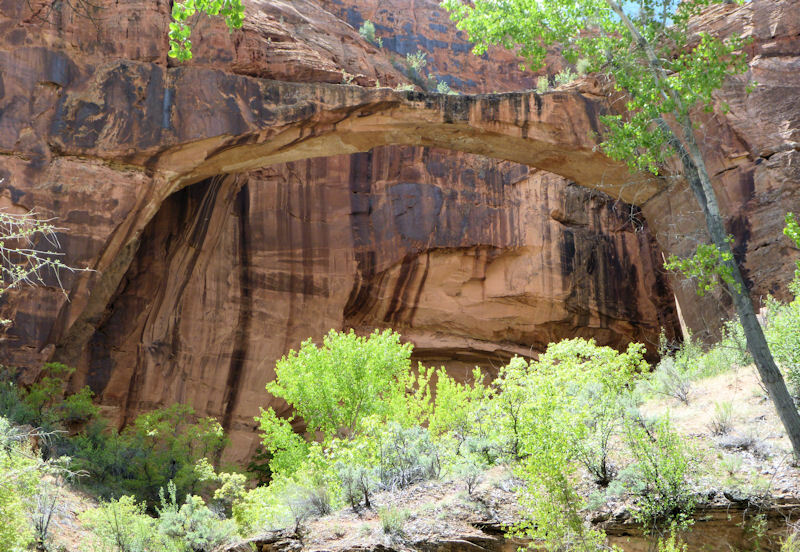 The exquisite Escalante Arch from the Escalante Canyon trail, Utah (2011). 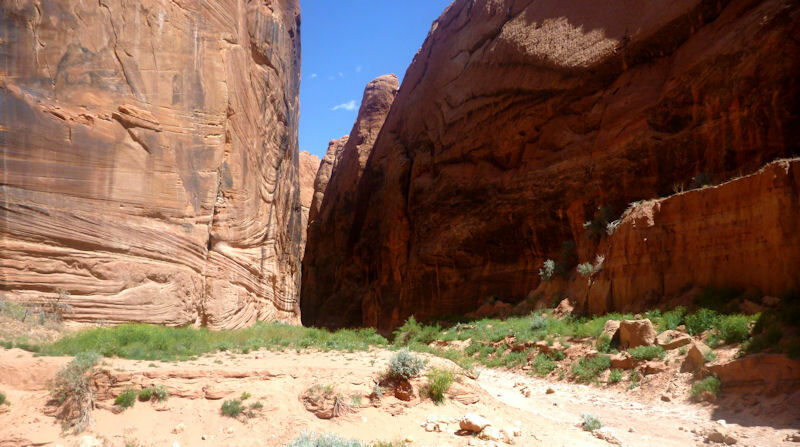 The confluence of Wire Pass and Buckskin Gulch, Paria Plateau, Utah (2011). A view of the Middle and North Sisters from the lower Obsidian Cliffs plateau. The meadow is covered by vast quantities of prehistoric chipping debris created during thousands of years of activity at this massive High Cascades obsidian source (2012). Obsidian Falls, Obsidian Cliffs plateau, Oregon (2012). Home for the night on the Willamette River Trail, Oregon (2014). 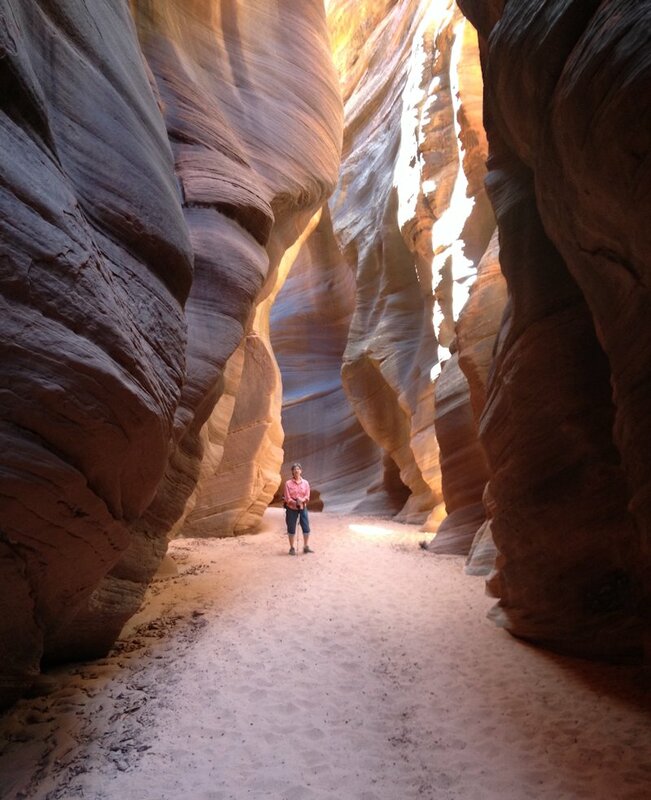 Buckskin Gulch, Paria Plateau, Utah (2014). A view of Mt. 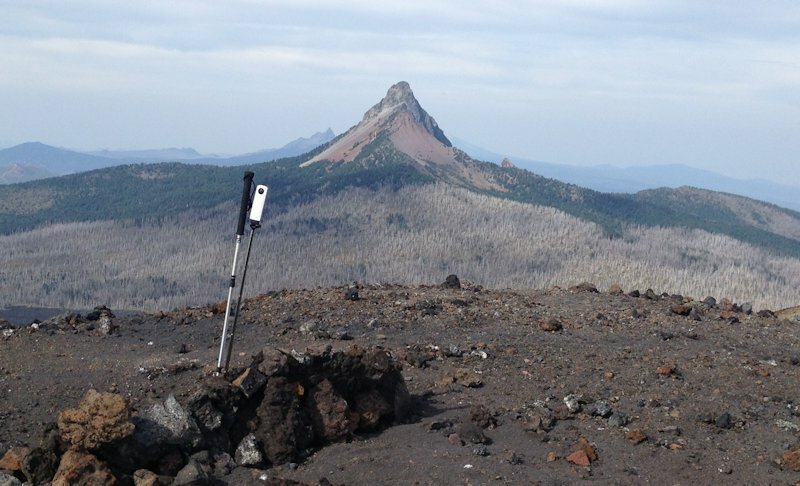 Washington to the north from the summit of Belknap Crater, Oregon High Cascades (2014). 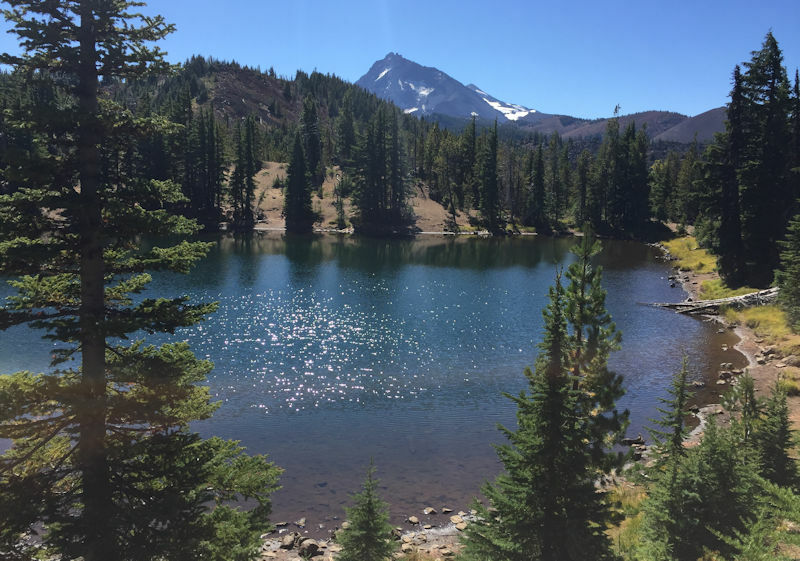 The ever-appealing South Matthieu Lake, a rest stop not far north of McKenzie Pass along the Oregon PCT, Oregon High Cascades (2016). The view north from the PCT at the base of Yapoah Crater, Oregon High Cascades (2016). From left to right, the peaks are Belknap Crater, Mt. 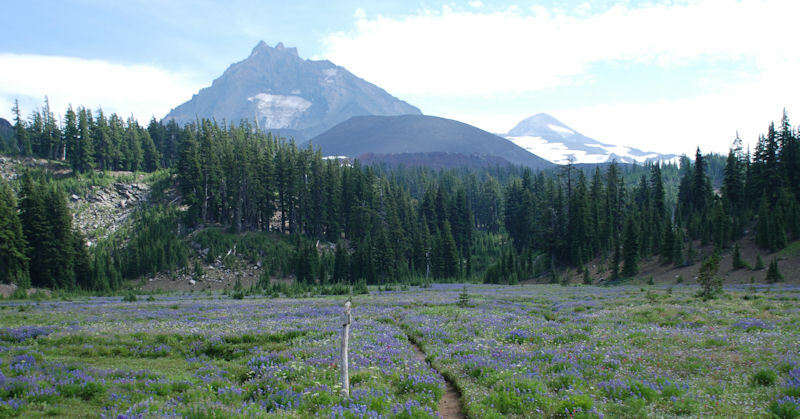 Washington, Three Fingered Jack, and Mt. Jefferson. Headed north along the PCT towards the North Sister, Oregon High Cascades (2016). 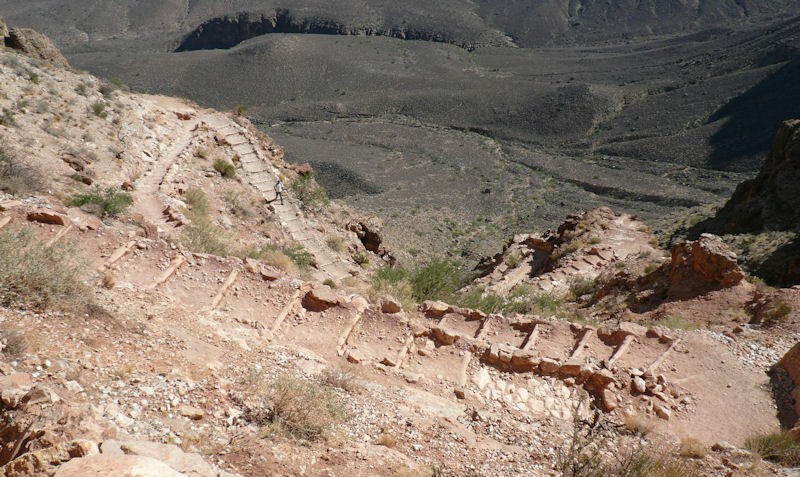 This is a wider-angle image from the same location displayed above seven years earlier. 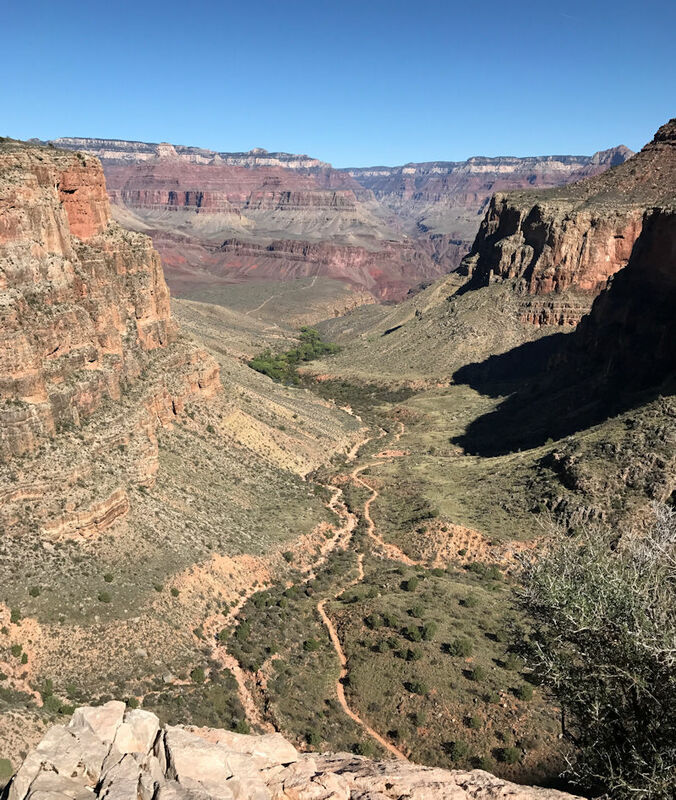 A viewpoint along the Bright Angel Trail, Grand Canyon National Park (2016). Today's destination is Indian Garden, the green spot several more miles downhill. 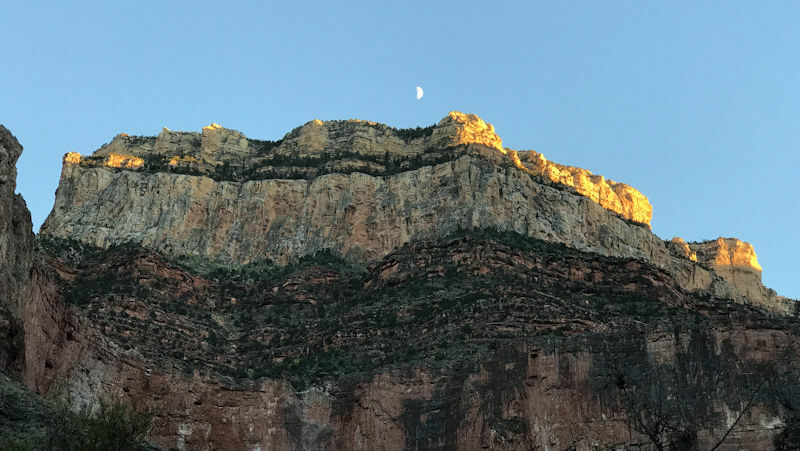 Moonrise from Indian Garden, Grand Canyon National Park (2016). 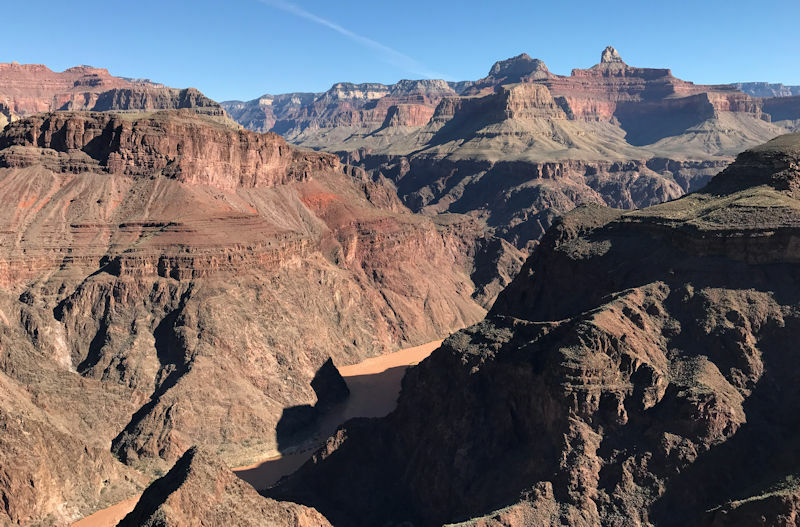 A look at the Colorado River from the end of Plateau Point, Grand Canyon National Park (2016). 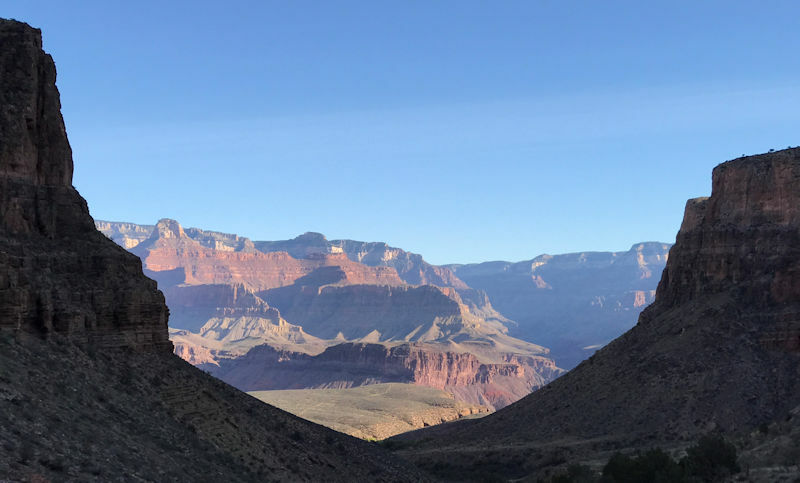 An inspirational moment not far from Indian Garden along the Tonto Trail, Grand Canyon National Park (2016). 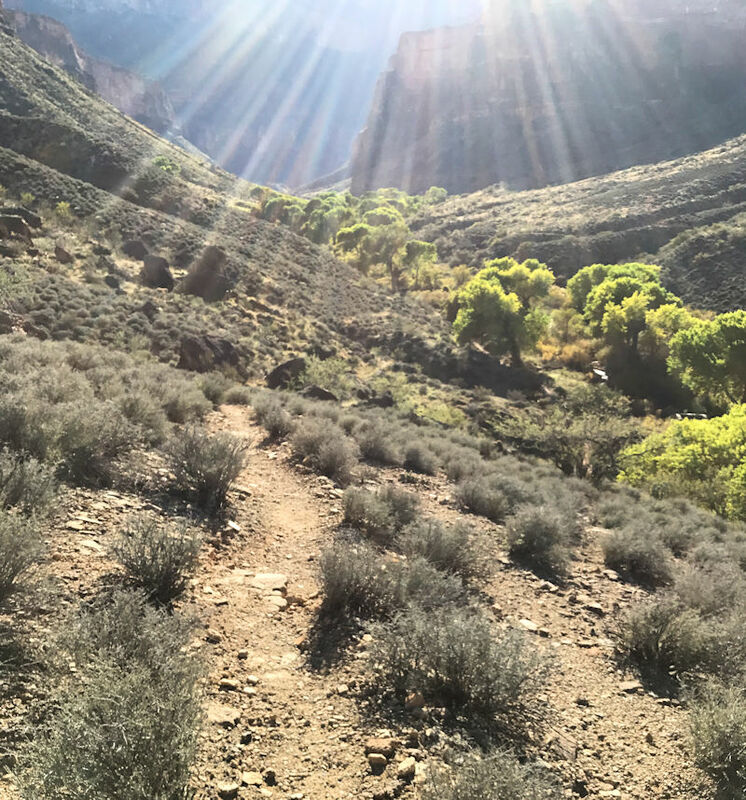 Heading back up to the South Rim along the Bright Angel Trail, Grand Canyon National Park (2016). 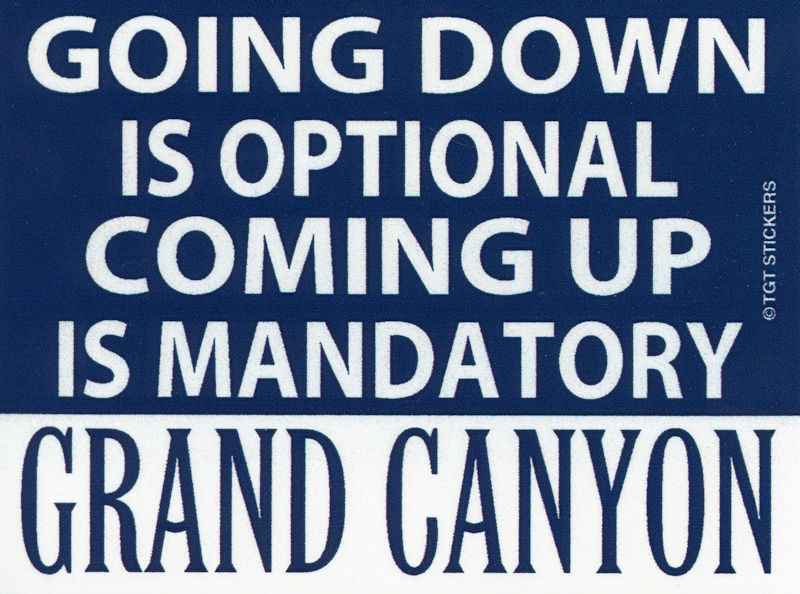 GOING UP IS OPTIONAL - COMING DOWN IS MANDATORY.